Jo’burg Bobotie: South Africa’s National Dish. 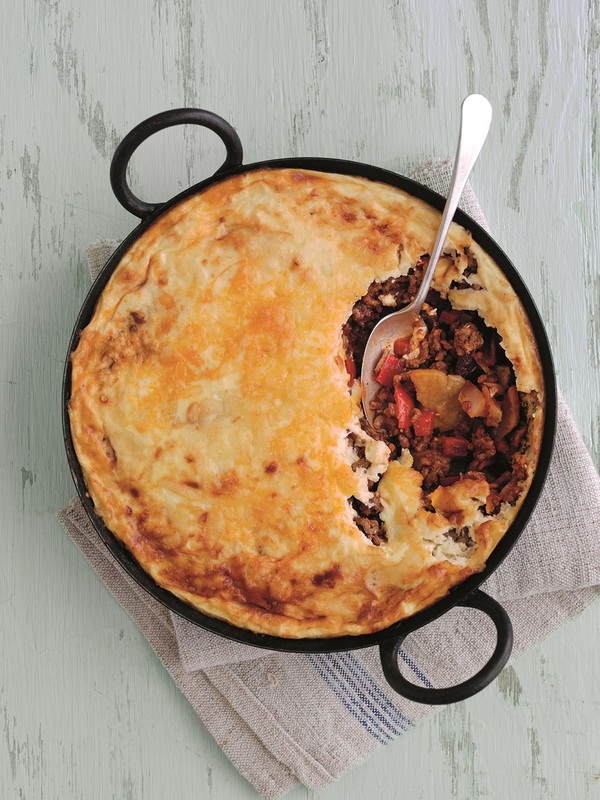 Our recipe for South Africa’s national dish is similar to a spicy moussaka – and it makes a great family meal. 1 Preheat the oven to 180°C, fan oven 160°C, Gas Mark 4. Halve, pit and chop the South African peaches or nectarines. Set aside. 2 Put the oil into a baking dish. Arrange the sweet potato slices in the base, turning them to coat. Bake for 20- 25 minutes, or until tender. 3 Meanwhile, heat a large saucepan and add the mince, a handful at a time, cooking for 3-4 minutes until browned. Add the onion, garlic and pepper and cook for 5-6 minutes, stirring often. Stir in the spices and herbs, tomato puree, red wine or water and sultanas and simmer for 2 minutes. Add the chopped South African peaches or nectarines and stir them in. Season. 4 Spoon into the baking dish over the cooked sweet potato, levelling the surface. Cool a little while making the topping. 5 Beat together the eggs and yogurt, then stir in half the cheese. Season and pour over the mince mixture, sprinkling the remaining cheese on top. Bake for 20-25 minutes until set and golden brown. Jo’burg Bobotie: South Africa’s National Dish Recipe c/o South African stone fruit. Cape Town Melktert with Sea-salted Caramel Apples & Pears. Eastern Cape Spiced Sweet Potato & Apple Fritters. "Quorn Pieces Festive Roll: Meat Free"
I ate this when I was in SA last Christmas but I found it really heavygoing in that Summer weather!